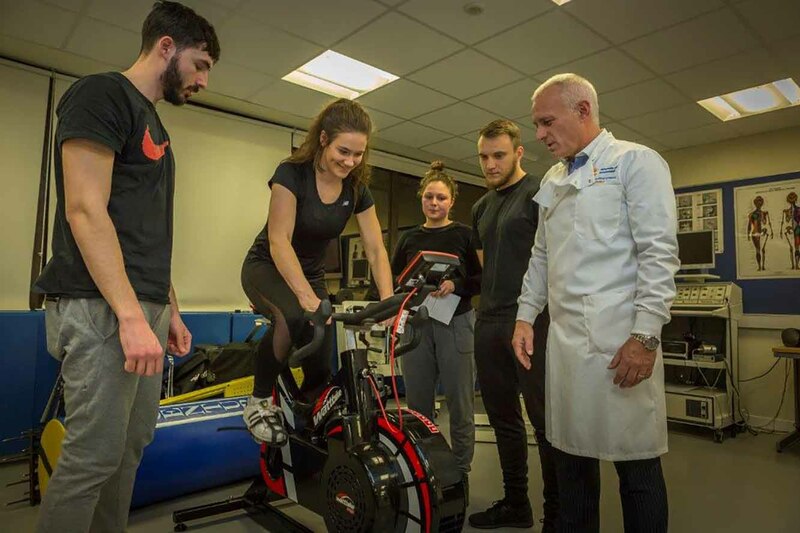 A GROUP of Northumbria Police cadets have been investigating their own fitness levels, with support from University of Sunderland students learning to apply their sports science skills and expertise. 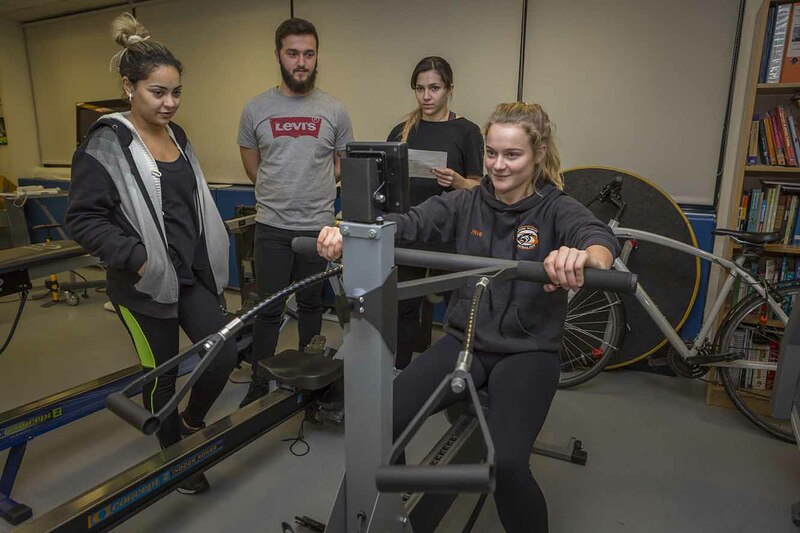 The students, led by senior lecturer Morc Coulson, carried out important fitness assessments on the police cadets in the University’s Sports and Exercise Sciences department, and subsequently offered professional advice to guide each cadet to improve their health as well as their professional prospects. This is the first time such a venture has taken place with the local police force. The knowledge gained from the assessments will be useful for staff, students and police authorities alike and should help to inform future needs. Morc explained: “We hosted the cadets as part of our innovative approach to building relationships between the community and the department, while offering opportunities for our students to work in real-life scenarios. The cadets were put through their paces in the University’s Sports Science laboratories which houses state-of-the-art fitness equipment and technology. From vertical jumps, power to reaction time, sprinting times and strength tests - students conducting the assessments were able to bring their theory from the classroom to real world clients. Sunderland Cadet Leader, Pc Kirsty Pitchford, said: “It’s really important to us to create as many opportunities as possible for our volunteer police cadets and they thoroughly enjoyed visiting the Sports Science Department at the University of Sunderland. Further collaborations with the region’s police forces officer are anticipated to follow.